In the world of cosmetic surgery, soft tissue fillers have become extremely popular. This is primarily due to the fact that they are minimally invasive; but additionally due to their excellent results and affordability. However, there are associated complications with this procedure, and here we shall take a look at these in a bit more detail. Meticulous planning backed by a sound knowledge of human facial anatomy is what can prevent complications from occurring from soft tissue filler injections. There are a number of different aspects to consider in particular. 1. 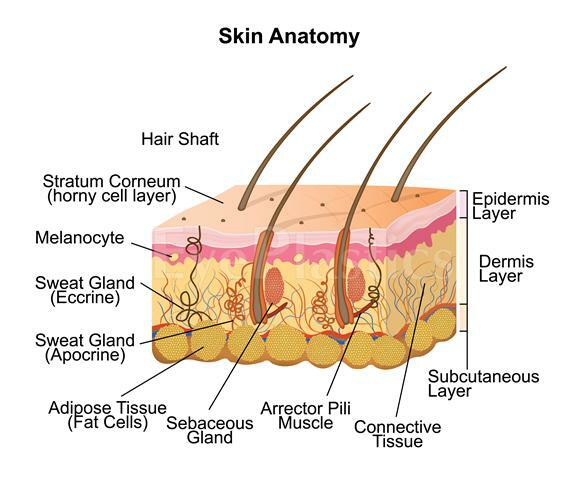 Varying skin thickness in different parts of the face. 3. The various fillers available. These can include hyaluronic acid, dalcium hydroxyapatite and poly-L-lactic acid. 4. The expectations of the patient and their informed consent. They must be fully aware of the risks and side effects. 5. A detailed clinical history to ascertain any underlying illnesses that could have an impact on the patient’s procedural outcome. Early complications are ones that are seen in the originally 2 weeks following the procedure. They can broadly be divided into minor complications and major complications. Mild bruising, bleeding and swelling at the site of injection are the most common minor complications that can occur in the hands of the most experienced practitioners. This is often prevented by injecting the fillers into the areas that are least populated by visible blood vessels, and following the injection by the application of an ice-pack on the area. There is no need for patients to stop taking their blood thinning medication prior to the procedure. If however bruising and ecchymosis does develop, then simple lasers can be used to treat this. Swelling is a common phenomenon as well. It develops due to the filler being injected and also due to the development of inflammation within the tissues. Some dermal fillers are more predisposed to causing swelling due to their molecular structure and ability to retain water (for example Juvederm). It is natural for patients to experience mild discomfort at the site of injection. This is expected with an injection, and any anxiety can be allayed by administration of a local anaesthetic at the site or giving the patients mild sedation. Sometimes, just simple reassurance is sufficient. In the event of pain developing following the procedure, patients could be prescribed simple analgesics such as acetaminophen. Non steroidal anti-inflammatory drugs and aspirin must be avoided as this can worsen the bruising. This needs to be observed closely to ensure that it completely settles down. Patients expect an improvement in their appearance following dermal filler injections. However, if the appearance is significantly worse after soft tissue filler injections, then corrective treatments must be offered as this is widely regarded as a major complication. For example, if hyaluronic acid has been injected as a filler and needs changing, then injections of enzyme hyaluronidase can dissolve it. Just a small amount is sufficient to make the required change. Multiple injections could be required to get the desired result. It is not uncommon for patients to be able to feel the fillers under their skin after it has been injected. However, frequently these areas that can be felt become painful and tender, and can be felt as nodules under the skin. There is always a likelihood of infection developing within these nodules, and patients could require a course of antibiotics to manage it. This must be constantly reviewed. This is a worrying complication and is usually seen when fillers are injected into the forehead area (glabella). The concern is one of blockage of the arteries or veins, and this should be kept an eye out for. If it does occur, patients could experience symptoms such as a change in the colour of their skin or pain. It should be treated straight away, and the area affected must be gently massaged. The filler needs to be aspirated out and hot fomentation must be applied to help dilate the blood vessels. 2% nitroglycerin paste could be beneficial. If needed, patients must be given oral steroids to reduce swelling. Patients must be closely monitored, and if needed a vascular surgical opinion must be sought. These are complications that are seen after 2 weeks of the procedure. They are once again classed as minor and major complications. The presence of visible nodules or skin irregularities is the most common delayed complication. This is particularly common if the filler is not injected deep enough into the skin. They could cause a bluish colour due to a phenomenon called the Tyndall effect, and this is often clearly evident in the area just beneath the eyes. This discolouration can last for years. The skin loses fullness and youthfulness as we age. This is as a result of reduction in elasticity on the skin causing the skin to sag, droop, recede and becomes hollow/deep. This is a clear sign of aging which require treatment for a fuller youthful appearance. Fillers can be used on different parts of the body including the eyes, mouth and lips, cheeks, chin and jaw line, on scared spots, wrinkles and fine lines. The procedure is carried out by a medical doctor and the time it takes depends on the area treated and the doctor. The procedure could take between 30-50 minutes or more depending on the surface area being treated. The patient can leave almost immediately and can resume to usual routine activities. The effect can be visible after 3-5days. Fillers injection has good results which can last for 6-9 months. Smooth and increase the volume of various body parts such as the chicks, chin, and jaw line among others.